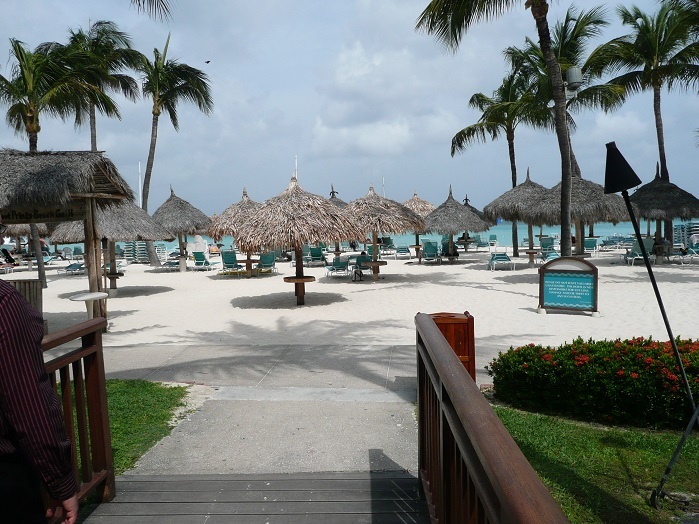 Aruba is known for their great year round weather and wonderful beaches. Many of our clients have heard of Palm Beach (the beach in front of the high rise hotels) and Eagle Beach (the beach in front of the low rise hotels) but there are many other wonderful beaches to explore in Aruba. 1. Malmok Beach – Best for Swimming, Windsurfing, and Snorkeling. Known for ideal snorkeling and scuba diving, the water at this beach is so clear that snorkelers can often see the 400-foot SS Antilla shipwreck from the surface. 3. Baby Beach – Best for Private Times. It’s on the eastern end of the Island and offers vacationers lots of privacy. The shallow clear waters make this beach ideal for wading and beach based snorkeling. 4. Palm Beach – Best for People-Watching and Activities! Along the high rise hotel strip, this popular beach is known for its activities and beautiful garden pathways, and open air bars. It’s a beautiful and extremely active beach. 5. Arashi Beach – Best for Water Activities: including scuba diving, windsurfing, deep-sea fishing, and sailing. This quiet and secluded beach is also known for its excellent snorkeling. Great for vacation activities with older children. 6. Manchebo Beach – Best for Swimming, Reading and Relaxing. Enjoy the gentle surf and wide open, pristine spaces. Tip: Wear sandals down to the beach from the pool. The expansive sandy beach area is quite a distance from most hotels. Did you realize that Aruba is out of the hurricane zone? My Vacation Lady can help you plan your next Aruba vacation or your honeymoon to Aruba. Contact us and see what My Vacation Lady’s personal approach to vacation planning can mean for your next vacation experience.